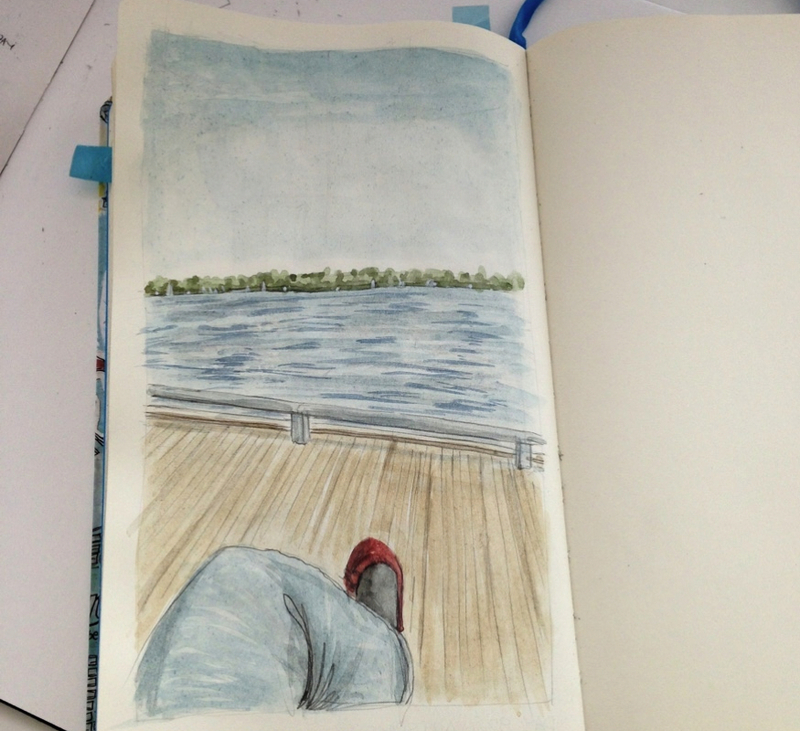 Today's challenge was to draw a nearby body of water. One of my favourite is Lake Ontario from Toronto's waterfront. I can't wait for the weather to be nice enough to go sketch there and explore a little more. I was there a little over a year ago on a sunny day, walking along the boardwalk and was inspired by the beauty of the surroundings. I took a couple pictures including the one used to create today's sketch.